This is a tall auto-flowering sativa dominant variety. Result of crossing Jack Herer x PowerPlant with Ruderalis of the Amur region. 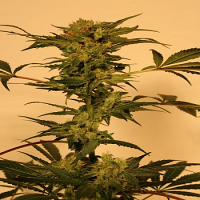 Amur Giant Auto Feminized Cannabis Seeds by Kalashnikov Seeds: This is a tall auto-flowering sativa dominant variety. Result of crossing Jack Herer x PowerPlant with Ruderalis of the Amur region. Amur Giant Auto - is a powerful, 100% auto-flowering strain. Has some visual resemblance with Power Plant. Its unusual smell reminds of Jack Herer, but a bit more lemon-berry. Cultivated Amur Ruderalis played an important role in the stability and viability of this plant (resistance to fungal diseases and tilting). 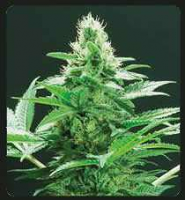 At the end of flowering, its large, dense, bright buds turn yellow-orange, covered with a thick layer of resin. The taste of lemon sandalwood, with a touch of wild berries jam. It has a powerful sativa effect. Ideal for work and communication.